On Friday, Andre Dede Ayew secured a year long loan deal with Turkey giants Fenerbache S.K. The 2009 World Youth Games gold medalist, joins from Swansea City where he spent the second half of last season. Along with younger brother, Jordan Ayew, the attacking duo couldn't save the Swans from relegation. 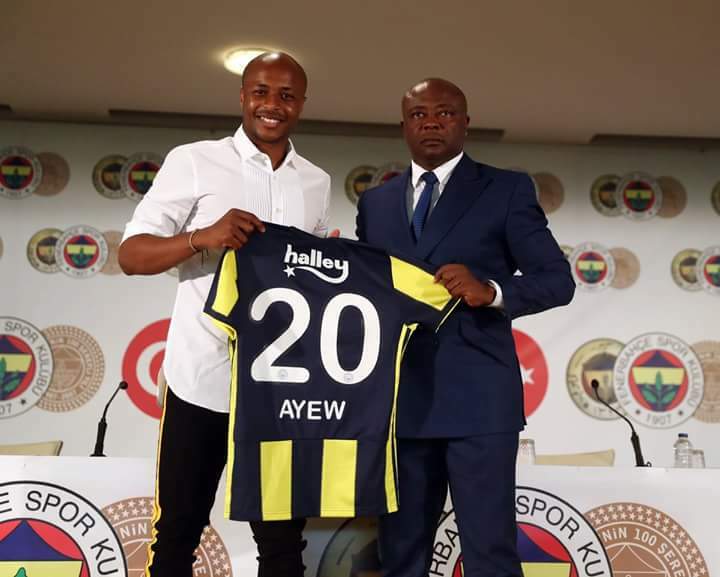 The 131st foreigner to join the Turkish side, Ayew has the chance to secure a permanent deal at the end of the loan spell. He became the 17th African and 4th Ghanaian player to join the Yellow Canaries. Gyamfi's Column profiles the careers of the previous 3 Ghanaians at the Şükrü Saracoğlu Stadium. A member of the Ghana team that won the bronze medal at the 1992 Summer Olympics in Barcelona, Yaw spent 5 years at Anderlecht before moving to Turkey. 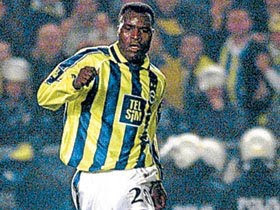 He signed for the Fenerbache in 1999 from Gaziantepspor where he scored 15 times in 2 seasons. He spent just a year with the Yellow Canaries where he scored 7 times in 22 appearances. 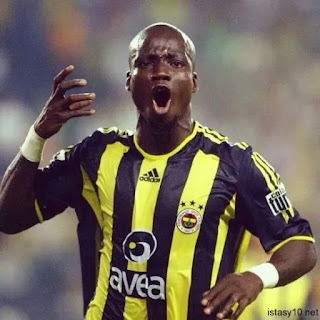 The 2001 Super Lig winner with Fenerbache spent four years at the club. The big midfielder played 151 games with the club, finding the back of the net 22 times. Signed from Gaziantepspor in 1999, he had already spent 2 seasons in Belgium with Anderlecht. The former Ghana Black Star' captain spent 3 years at the club after leaving Serie A side Juventus. After completing the 8million Euro move, Appiah went on to win the Super Lig in the club's centenary year. The midfielder played 64 times and scored 11 goals in an injury plagued stint at the club. Stephen led Ghana to its first ever World Cup appearance as Captain. Andre Ayew has the chance to show Manager Philip Cocu what he is made up of as the club plays on 7th August in a UEFA Champions League qualifier against Benfica.